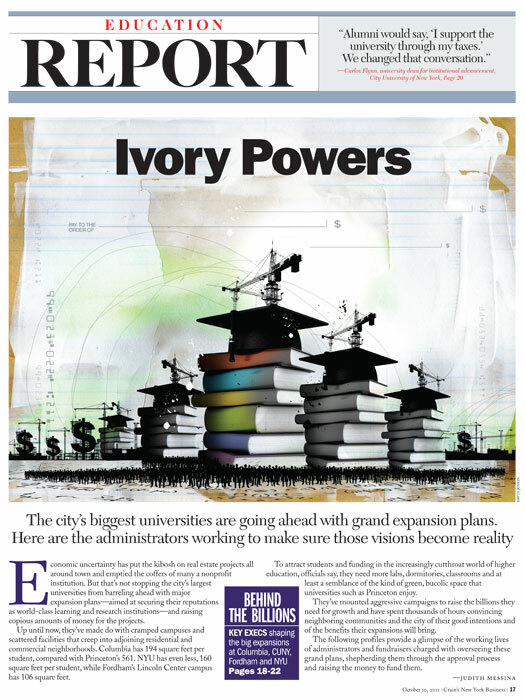 Levy Creative Management artist DAVID JUNKIN creates a beautiful illustration for Crain’s New York Business called “Ivory Powers”. 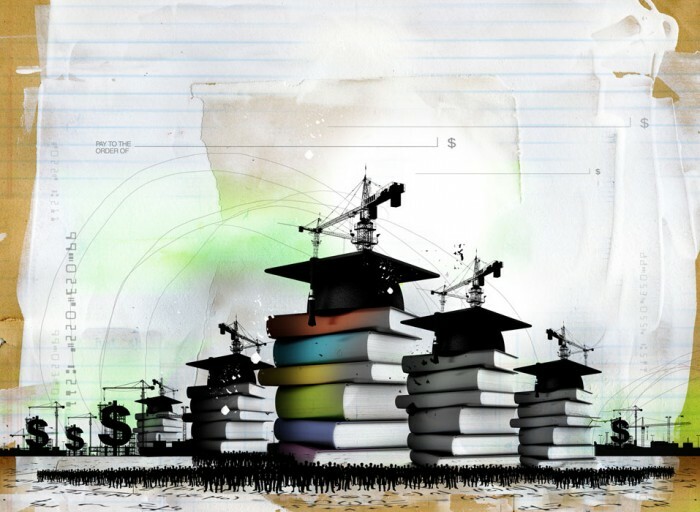 This piece was for an article on how New York City’s biggest universities are going ahead with expansion plans despite economic times. Below the illustration both separate and in the layout. Nice job David!